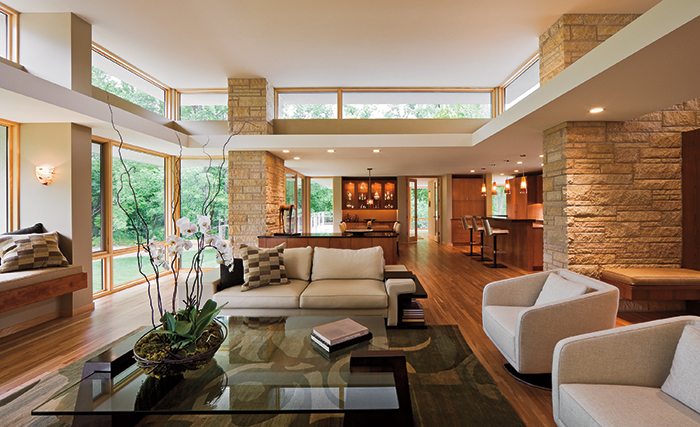 Add dimension and drama to a window design by incorporating Marvin Special Shape windows. 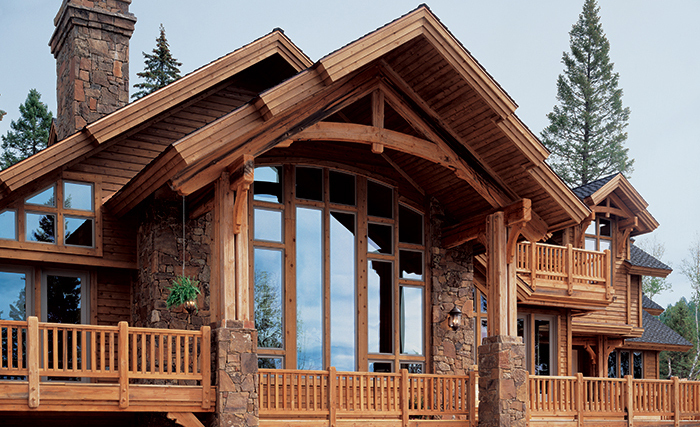 Add dimension and drama to a window design by incorporating Marvin Special Shape windows. Choose from thousands of shapes to match your dream window, including octagon, hexagon, trapezoid, pentoid, and triangle — virtually any geometric shape you can imagine. Ultimate Casement In-Sash Polygons match the sightlines of Marvin Ultimate Casement window products and are available in 67 variations on 9 different shapes including triangular, trapezoidal and octagonal units. Many of the shapes are operating, with either right-hand or left-hand openings. The operating octagon shape is available in an awning configuration. For increased design flexibility, 68 Polygon shapes are available with narrow frames. Slim profiles, huge sizes and flush-frame look make narrow-frame Polygons ideal for the contemporary market and for replacement projects. 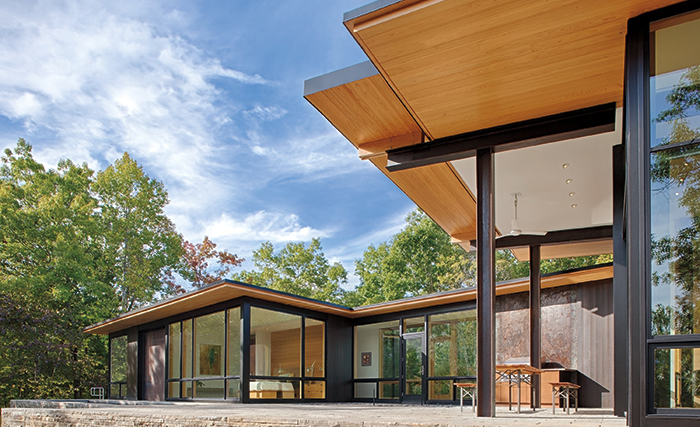 Sizes are as large as 36"x97" and 40" x 92"
Contemporary homes often make the most of panoramic views by incorporating corner windows as design focal points. Corner window assemblies, sometimes dramatically stacked, can add design interest to both the interior and exterior of your home. Minimal mulling makes the most of a corner view. Clad corner mulling is a mere 2 11/16" wide on each side of the corner angle. Corner windows offer great design flexibility, both horizontally and vertically. Corner windows in symmetrical or asymmetrical units. Unit dimensions in asymmetrical units are based on width–to–height ratios. Asymmetrical size guidelines are available. Factory glazing standard is 1" insulating glass with LoĒ2–272 with Argon. Factory mulling can be available for vertical stacked designs; talk to your Marvin Representative about stacking options for your project. 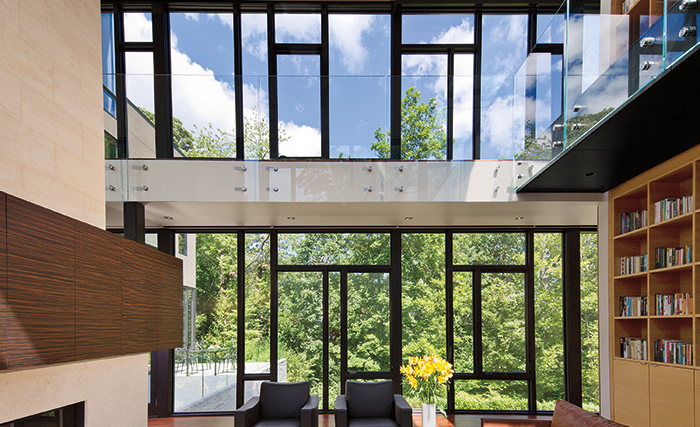 Narrow contemporary sightlines match Marvin's Direct Glaze windows. Ask your sales representative for the details on all the Special Shape Window possibilities.